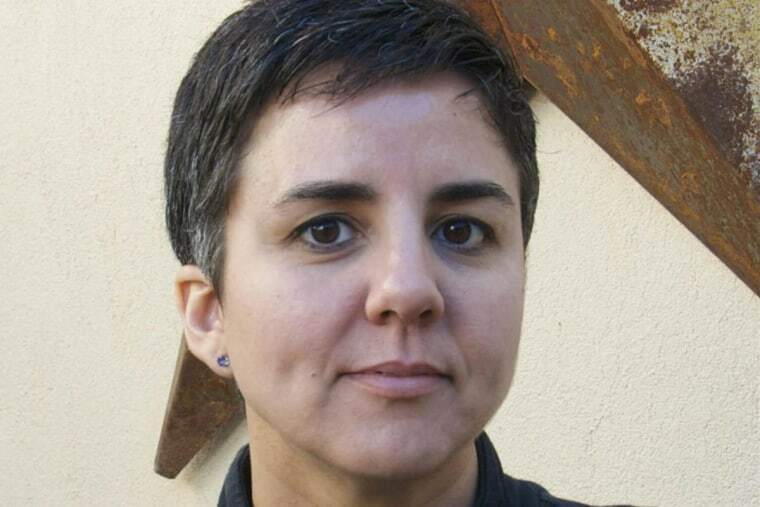 Carmen Giménez Smith is one of the most productive Latinas in American literature, and her mission is ensuring that innovative poetry connects with varied audiences. An award-winning poet herself, her books include "Odalisque in Pieces" (2009), "The City She Was" (2011), "Goodbye, Flicker" (2012), and "Milk & Filth" (2013), which was a finalist for the National Book Critics Circle Award. Her verse has been widely celebrated for its lyrical and political perspectives on femininity and feminism, and for the way it reinvigorates poetic language with the use of such devices as the fragment, associative meaning and elliptical storytelling. She is also the author of a memoir, "Bring Down the Little Birds: On Mothering, Art, Work, and Everything Else" (2010), which creates a portrait of a Latina in the contemporary world as she navigates her many roles, from motherhood to working professional, negotiating the big heartaches and small triumphs that come with the responsibility of being one busy woman. Six years after the release of that memoir, Giménez Smith continues to cultivate a career that keeps her active. Besides being a writer and a professor at New Mexico State University in Las Cruces, she also serves as publisher for Noemi Press and until recently, as editor-in-chief of the literary journal Puerto del Sol. Founded in 2002, Noemi Press is dedicated to publishing and promoting experimental and innovative poetry. Since 2013, it has also been housing the Akrilica Series. Inspired by a book from 1989 by Juan Felipe Herrera, the current poet laureate of the United States, the series is open exclusively to Latino poets whose verse challenges the linguistic conventions of American poetry. We caught up with the author and editor for a brief chat about the writing life, Noemi Press and the ever-growing importance of Latino letters in American culture. Without a doubt, your prolific output and the critical response you receive for your writing positions you as a leading Latino voice of today. During this troubled election year climate, why is poetry — an in particular Latino poetry — essential to the national conversations about culture and politics? Language is being used so destructively, just words, just bits of sound, and I think the most exciting poets of the moment (Daniel Borzutsky, whose book was recently long-listed for National Book Award; the inimitable Bhanu Kapil; and Elizabeth Acevedo, who is bringing the personal into the political) are working assiduously to undo the terrible ways we undo justice and even basic kindness on all platforms of media. The Latinx population has a complex relationship to notions of citizenship. I know that I certainly grew up feeling very proud to be an American, and although I experienced institutional racism, I never thought nationalism and racism would be wound together in such a dark way as it is in this very moment. I also think that we can reach into our recent political history in the emancipatory work of Gloria Anzaldúa, Alurista, and our poet laureate—as well as the historical tradition of political poetry in all of Latin America—to find great knowledge and prescience, and that’s where I find myself more and more. So currently I’m investigating the work of the Kloaka Movement from Peru, just looking for perspective on being at such odds with an oligarchy selling a nation on false boundaries and differences. Congratulations on the longevity and success of Noemi Press! As a publisher, how have you stayed true to your vision from the start of this venture and in what ways have you had to adapt to a dynamic publishing industry? The press is a collaborative effort comprising of an incredible staff of editors who are active participants in the day-to-day decision making of the press. "Milk &amp; Filth" by Carmen Gimenez Smith.Carmen Gimenez Smith. Noemi editors are instructors, students, and writers who search for manuscripts that provide us with what we find missing as writers, readers, and teachers. We seek exciting voices that surprise us, and we are lucky enough to be part of communities that are similarly looking to provoke and interrogate. Because of this important collaborative venture, we’ve had really great success, not only with the books we’ve published, but also in terms of the kind of work we have the honor to consider. Lately I’ve been most thrilled about the success of Infidel Poetics, a short-form poetics series, which has featured work by Sarah Vap, Douglas Kearney, the Blunt Research Group, and work forthcoming from Chaun Webster, Tonya Foster, and Roberto Tejada. Because in many ways we’re still a micropress, we have the latitude to pick really risky and hard-to-classify writing, and I think Infidel exemplifies that commitment. More and more of our books feature study/teaching guides, which takes into account that poetry is often, though sadly, mostly read in classrooms, and that’s definitely been a change in our thinking. Hopefully, we’ll continue to be an access point for young readers and writers. Can you tell us more about the Akrilica Series? I believe this is a co-publishing initiative with Letras Latinas, the literary initiative of the University of Notre Dame’s Institute for Latino Studies. Why the need to highlight innovative writing from the Latino community? The AKRILICA series was a direct result of conversations I’d been having with Francisco Aragón about wanting to create a space for work by Latinx writers working from a more innovative aesthetic. We felt the publication possibilities for Latinx Lit in contemporary poetry could be expanded to include works whose content comprehensively reimagined and de-defined genre forms as much as they interrogated political points. "You Ask Me to Talk About the Interior" by Carolina Ebeid, published by Noemi Press.Noemi Press. These conversations began to really come to a head in 2008 at a week-long residency at the Ragdale Foundation that was convened by Letras Latinas. The residency brought together eight Latina/o poet-editors, including J. Michael Martínez, a Noemi editor and amazing poet in his own right, and two poet-editors who would go on to become AKRILICA authors: elena minor and Roberto Harrison. In the months after, Noemi and Letras Latinas formed a co-publishing partnership to create the series. The series has published Chloe Garcia Roberts, Sandy Florian, and is — with the support of various organizations such as New Mexico State University and Letras Latinas as well as through private support under the direction of our board member Blas Falconer — publishing the work of Carolina Ebeid, Vanessa Villareal, Manuel Paul López, and reprinting Jennifer Tamayo’s groundbreaking You Da One. Since there's such a range of good and exciting work being done by so many poets, our ambition is to provide the most comprehensive and inclusive picture of Latinx poetry we can render. You are also a Canto Mundo fellow, an organization that nurtures Latino poets across the country. How has being part of Canto Mundo helped you shape an identity as a Latina poet and what role does this community of writers have in shaping American letters? My involvement with CantoMundo has changed me as a person and as a poet, for the better. The conference is a space where I do deep interrogative work on my poetry and subjectivity. Since there’s no particular aesthetic at work, I’m attuned to a wider register of influences, and in that way, I think my work feels as if it comes from a much deeper well. The Latinx poetry community is incredibly supportive and I think organizations like CantoMundo are key to creating that progress. While Latinidad is not some monolithic identity, contemporary political rhetoric has forced us into one, so the camaraderie is also vital as we take back our identities as individual artists. I now have the great honor of serving on the organizing committee, and I hope to give back by providing fellows with insights on publishing. "Bring Down the Little Birds" was such a prescient book because you’ve only gotten busier and more in demand. This hasn’t slowed down your literary output, however. What valuable lessons have you learned about the writing life (its joys and frustrations) that you’d like to share with other aspiring writers? And what’s next for you? I am most fulfilled by collaboration in all the forms it can take, which is also how I am able to take part in so many different projects, but over the past few years I’ve certainly found much less time to write. I realize now that that means I’ve had to become more patient with how long a project takes, and I don’t love that. I still do give myself over to short periods of complete writing abandon and the house gets dirty and I don’t sleep and the kids get cranky and emails stay unanswered, but I think it all self-corrects along the way. I had a month-long residency at The Hermitage Foundation at the beginning of the summer, and finished a manuscript called Post-Identity, and got well on my way into another one called Said Inheritance, so I do feel a bit sated, but it’s never enough. With that said, all of the different types of work I do nourish me, make me a better and more elastic poet, so I’m willing to wait. I am motivated by my communities and by the work we do together. There are many types of creating. This interview is a type of creating, mentorship is a type of creating, publishing is a type of creating. Sometimes one or another seems to take over for a while, but that’s okay. Even if I’m impatient, the writing is not. It stays in me, and it knows I’ll return, more excited than ever.